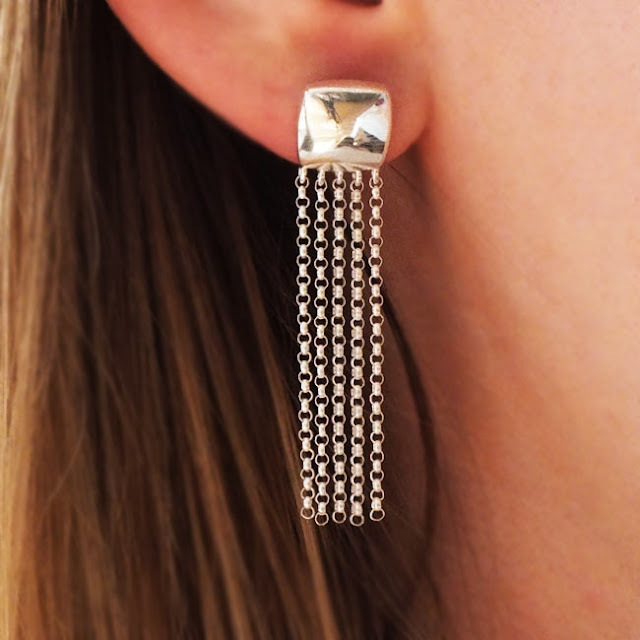 What could be better to add a little 'va-va-voom' to one's favourite party outfit than a pair of beautiful statement earrings? Yes, we are slightly biased here at The Earring Collection, but of course we would be! We have a marvellous selection available in our online shop and many more in our Cowes boutique Here are a few of our favourites to get you in party mood. 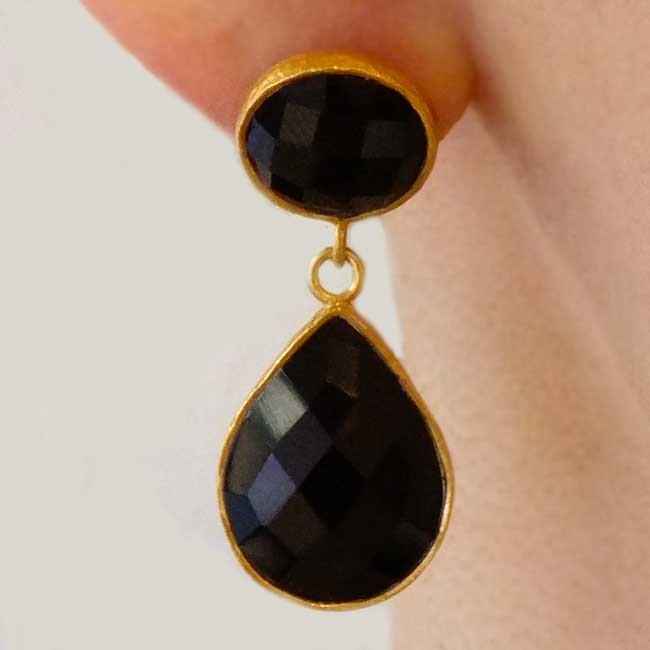 These stunning statement earrings were hand-made using faceted black onyx and 22ct gold vermeil. 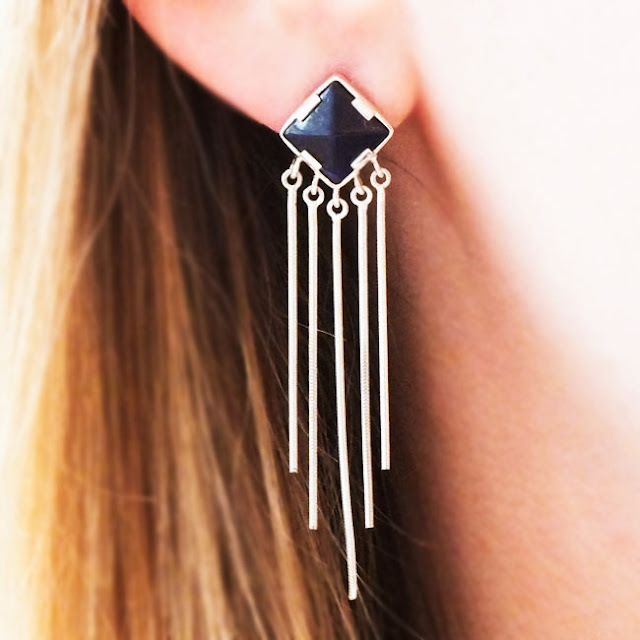 Dramatic, dressy and very elegant. Five delicate chains suspended below brightly polished sterling silver square stud. A dainty chandelier to make you feel like a true princess. 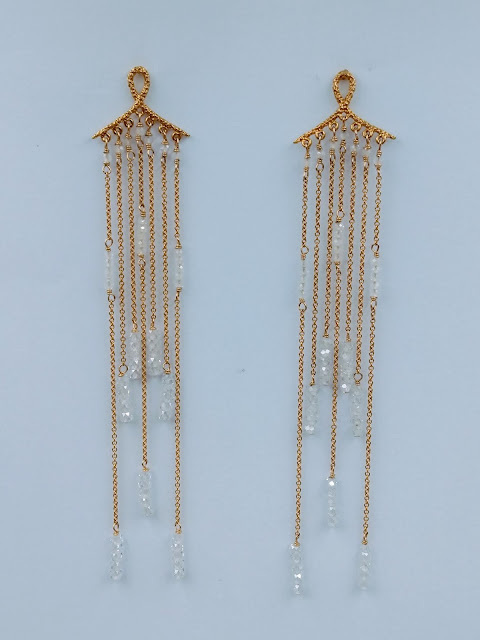 Dusky briolettes of smoky quartz combined with 22ct gold vermeil.